How Family Therapy sees the family dance. What Is The Family Dance? Family Therapy was a revolutionary idea when it first started. And even today, the concept isn't totally understood by some doctors and insurance companies. Until the late ‘50s, psychiatrists and therapists were treating people as isolated individuals who were mentally ill. Sometimes the patients got better and were allowed to go home. When they went back to their families, they usually got worse. In some way, the couple’s stability seemed to be maintained by the child’s “illness.” This led to the idea that a family was more than a collection of individuals; it was an entity by itself. Each family was a System with its own structure, rules and goals. And Family Therapy was born. There are all kinds of systems: ecosystems, insect colonies, political systems, and solar systems, Interestingly, the parts seem to add up to more than the whole, a concept we call synergy..
Systems like the status quo. They want to stay in balance, and they don’t like extreme change. The minute one part gets unbalanced, the rest of the system makes adjustments. The Family System is no different. It doesn’t want to change either. Remember the old expression: “Better the devil you know than the one you don’t.” And since any system is more powerful than any of its members, it will even sacrifice parts of the system to survive. The Family is a “Culture” with its own rules, leaders, language and rituals. It also has a history. Not just the history of this particular family. But the history of the family that goes back generations. All the previous generations pass down their collective experience and solutions to the current generation. Family Therapy believes that when families are in trouble, there are certain types of dynamics going on: One of the biggest is stress, which comes in three varieties. There are Life Stressors such as illness, job changes, birth and death. Any of these can result in actual physical illness in people and families. There is also Interpersonal Stress which involves conflict between people who we would normally expect to cooperate with each other. These battles in the here-and-now may be extensions of battles by earlier generations. Just as we learn values and facts from our parents (and their parents) we also learn emotional patterns and solutions. This is the area that Family Therapists operate in. They are interested in what happens in the relationships between people, and how to effect change. Finally, there is Intra-personal Stress which is the battle within the individual. This is a result of the external pressures that the person takes inside, which wreak havoc internally, and wind up spilling out onto others. When parents beat their kid; the kid then beats up himself emotionally; and later beats up the neighbor’s kid. Then, when he has his own children, the cycle repeats itself. Another family dynamic is found in polarization and escalation. We see this in family battles between individuals. First, there is the provocation, then the attack and the counter-attack. People get increasingly polarized, and the process escalates and intensifies. We call this a “Feedback Spiral” when we're talking about family systems. There is “Positive” and “Negative” feedback to the system. Remember, the system likes to remain stable and balanced. Positive Feedback tells it “things are changing”. Negative Feedback says “everything is stable; no changes happening”. When there is repeated feedback that things are changing a lot, the system has less moments when it is stable. Whenever two people are fighting, the resulting tension is usually relieved by bringing a third person into the fight. That’s Triangulation. 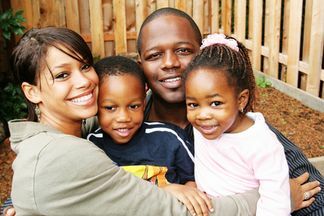 You also see it when parents are estranged from each other, and become over-involved in a child to ease the loneliness. This affects the children negatively. They then repeat the pattern with their own families. There are no good guys or bad guys in such situations. Everybody contributes parts to an evolving situation and gets something out of it, even the child. Each family member makes a contribution. Nobody is guilty all by herself. But somebody always get blamed. Which brings us to Blame itself, which is a very powerful process. The cycle is one of blaming others and defending oneself. Each person feels powerless and victimized and that the other person has the power and control. They become abstractions and symbols to each other: The bad mother. The rebellious child. They are not experiencing the other as a person, and they are not aware of their own self-experience. Rather than deal with their own emotional lives, it is easier to blame others for how they feel. In troubled families, there is a loss of individuality and independence. There is a family-wide symbiosis which inhibits individuality. Family members are so dependent on each other for support that they agree to “not rock the boat.” Everyone assumes a “role.” Instead of individuals making up a family, there is only THE FAMILY. And that entity rules everyone. The way to counteract this fear of the loss of self and submersion is to create conflict. Family battles usually indicate the family’s need for separateness. But sometimes the battle becomes too destructive and costly. Even greater than the fear of losing oneself inside the family is the fear of immobility and stasis, the fear of death. The acting out” person is usually someone who is signaling the emotional pain and death within the family, even to the point of sacrificing themselves. They are commenting on the rigidity of the family system. They are the person who delivers the family to the possibility of healing in therapy.